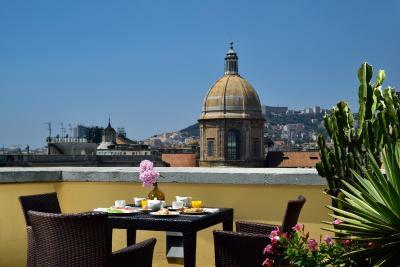 Lock in a great price for UNAHOTELS Napoli – rated 8.6 by recent guests! The location for proximity to train was excellent. Once inside hotel it was very nice and clean. 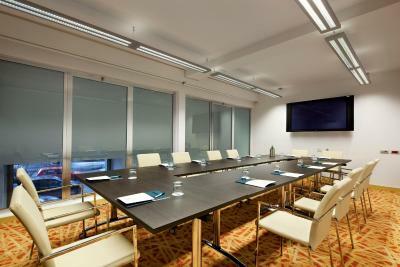 We had a nice quiet room, as requested. Nice balcony facing the city. The breakfast staff and food was excellent! The staff was always courteous and extremely hard working!! Beautiful hotel very close to the main train station. Very comfortable room with a balcony. Lovely roof top deck and breakfast area. Ridiculous check in ! I stood there while the 3 check in people talked and laughed with each other completely ignoring me for at least 5 minutes- the only person waiting to check in. Otherwise I would have given this hotel a 10! The location was great! Everyone was very friendly and welcoming. Our room was clean and the roof top restaurant was nice. Breakfast was one of the best we had on our trip. 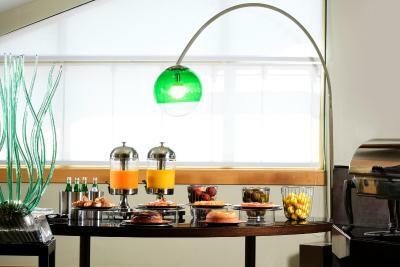 The complimentary breakfast was great with more than enough options to choose from. We were pleasantly surprised. Loved the balcony even though we didn't get to enjoy it very much. The bed and pillows were comfortable and the location from the train station was perfect! 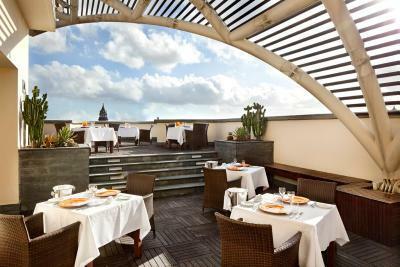 I was pleasantly surprised by quality of this hotel: very clean and convenient room, great breakfast selection, restaurant with a roof-top terrace overseeing the city is a bonus. I had a single room, which was not expensive. Overall, value for money was excellent. 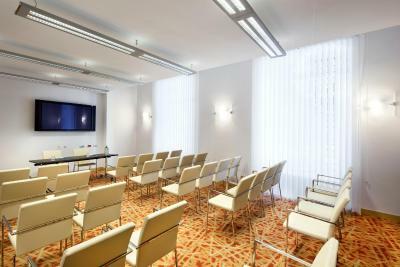 The room was great. Very spacious, high ceilings, giant bed, dark, and quiet. The balcony was a great touch too. Bed was really comfortable and the location is great. Hotel restaurant is pretty solid. Breakfast was amazing. 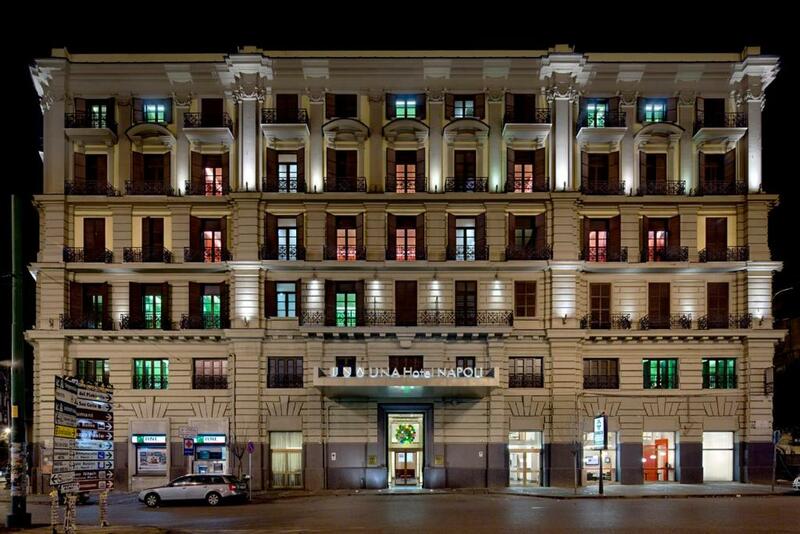 UNAHOTELS Napoli This rating is a reflection of how the property compares to the industry standard when it comes to price, facilities and services available. It's based on a self-evaluation by the property. Use this rating to help choose your stay! 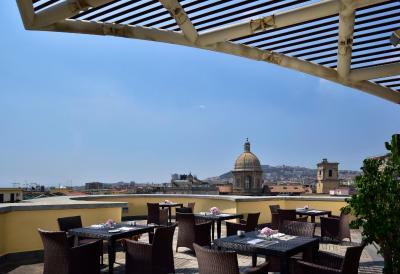 One of our top picks in Naples.Dating back to the late 1800s, UNAHOTELS Napoli is a grand hotel in central Naples, 5 minutes' walk from Naples Central Station. 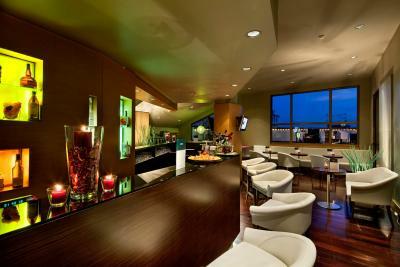 It features a top-floor restaurant, bar and terrace. 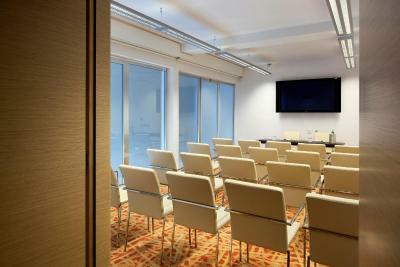 Large and elegant, rooms at UNAHOTELS have a contemporary design and air conditioning. They also feature a mini-bar, and pillow menu. Wi-Fi access is available throughout the hotel. 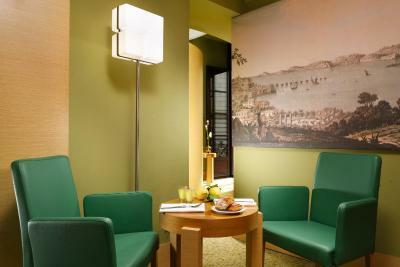 Breakfast is buffet style at UNAHOTELS Napoli. Gluten-free options are available on request. 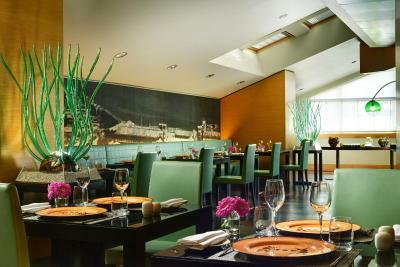 The restaurant serves Neapolitan and Mediterranean specialties, which can be enjoyed out on the terrace in warm weather. 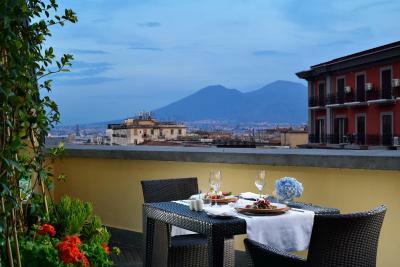 The hotel is just across the Circumvesuviana line, for trains down the coast to Pompeii and Sorrento. 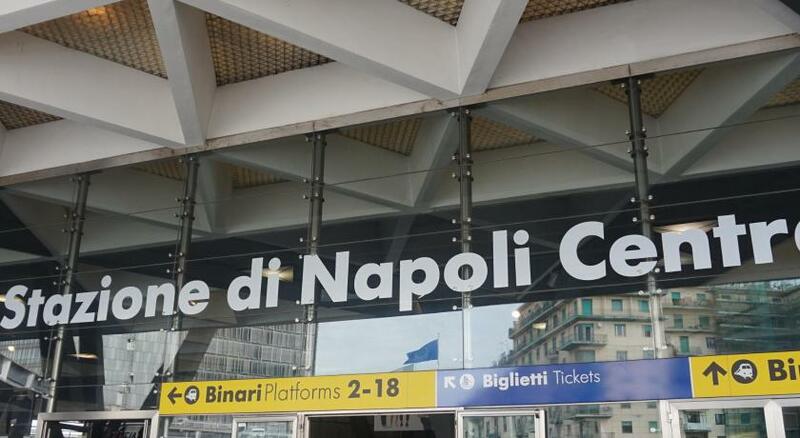 It has good transport links by bus and metro around Naples city center. 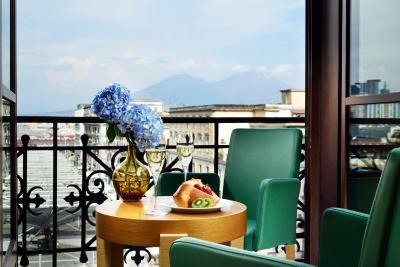 When would you like to stay at UNAHOTELS Napoli? 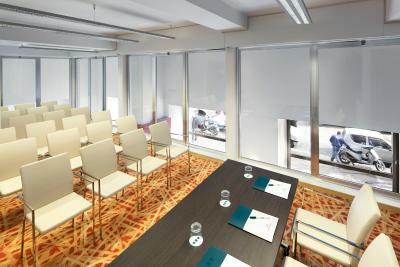 This room includes free basic WiFi, with limited internet access. Air-conditioned room with TV and mini-bar. This room includes free unlimited WiFi and free mini-bar. Also offers balcony, flat-screen TV and private bathroom. It has air conditioning. Twin beds are not available. 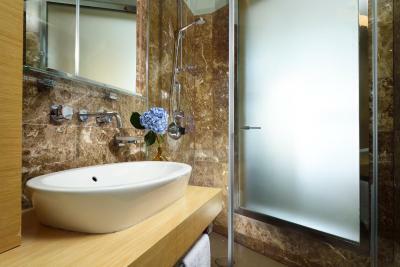 Spacious, with carpeted floors and marble bathroom. Some have a balcony. Air-conditioned, features a TV and mini-bar. 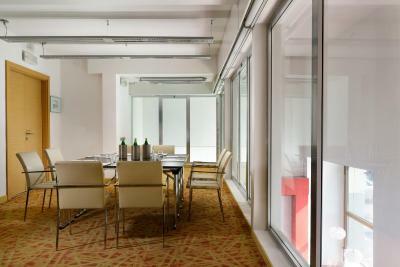 This air-conditioned room has a satellite TV, mini-bar and private bathroom with free toiletries. Featuring free WiFi and a free mini-bar, this spacious suite includes 2 balconies, high ceilings, and a living area with a coffee machine. 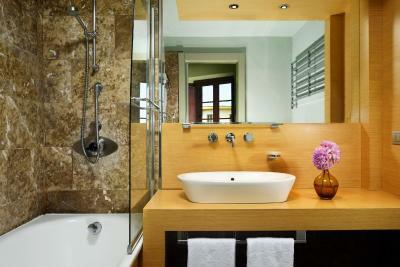 The large bathroom comes with a bath, marble floors, and wooden furnishings. This air-conditioned room features a mini-bar, satellite TV and private bathroom with free toiletries. This larger room has air conditioning, mini-bar and satellite TV. The private bathroom comes with free toiletries. Featuring a balcony, this air-conditioned room has a satellite TV, mini-bar and private bathroom with bathrobes and free toiletries. 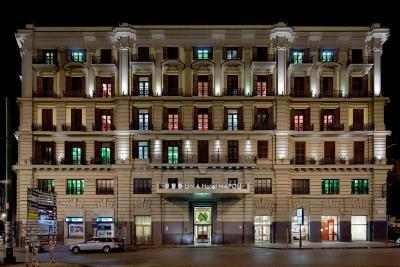 UNA Hotel Napoli is an historical building in a central position, opposite Naples railway station, accurately restored to its XIX Century grandeur. 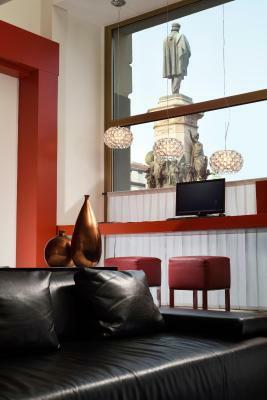 It is located near the metro stop “Garibaldi Linea 1”, perfect to get quickly to the most beautiful sites of the city. The interiors, recalling local traditions with impressive architectural design, give life to 89 well-appointed rooms, a bar and a restaurant overlooking the wonderful panoramic roof terrace. 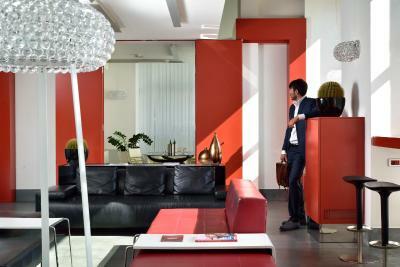 House Rules UNAHOTELS Napoli takes special requests – add in the next step! 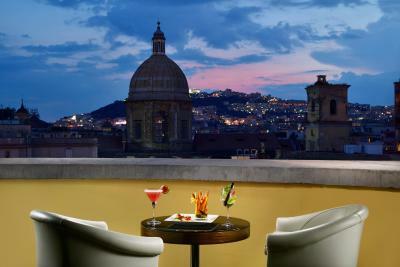 UNAHOTELS Napoli accepts these cards and reserves the right to temporarily hold an amount prior to arrival. Please note that parking costs vary according to the size of the vehicle. Electronic lighting mechanism and air conditioning wasn't straightforward. 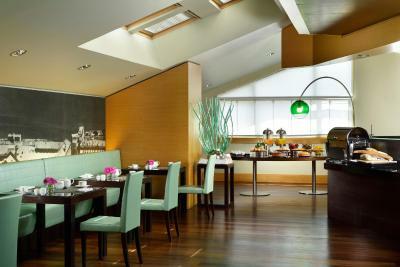 Great location (near to the railway station) Great service at breakfast. Very helpful reception staff. 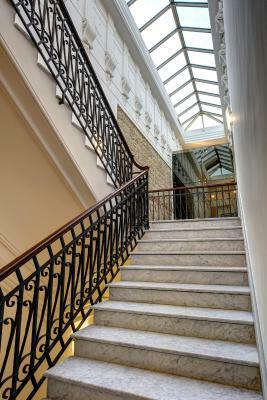 This Una property is the perfect location for meeting or departing from Napoli Centrale. It's also not that far by taxi from the port. 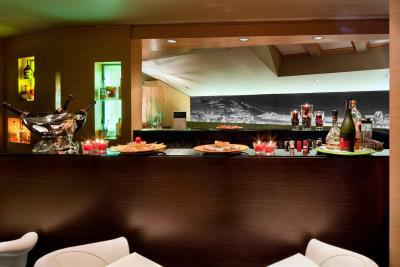 We love our spacious, well-equipped, comfortable and quiet room and the excellent breakfast which we enjoyed outside on the roof top terrace - also a great place for an evening aperitif. 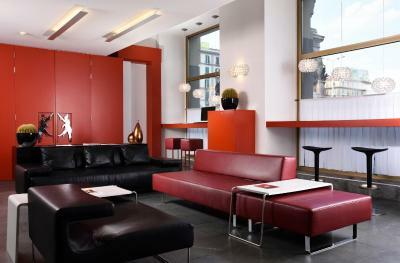 The hotel is a lovely haven of piece on busy raucous Piazza Garibaldi. The area surrounding the hotel was not the best. Our room while very nice, had a very unpleasant odor. Couldn’t quite put my finger on where it was coming from but I certainly smelled it. Naples is such a beautiful city, but the area around the train station ist just horrible. So if there are no urgent logistical reasons for staying in this area, I would pick a place in a different neighbourhood. The view from the restaurant terrace is just magnificent and the breakfast was also quite good. What I really liked was the light control box next to the bed, with which you can control all the lights in the room and the heating and AC. Very convenient. Also the spacious bathroom added to my positive feeling towards this place. The only thing we wished for was tea and coffee making facilities in our room. The hotel was fantastic in every way - right down to the pillow menu! 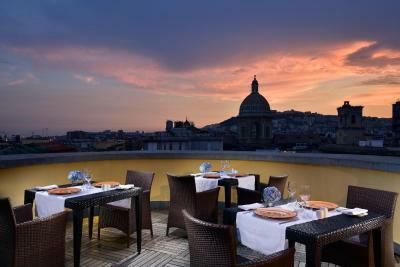 Great location, fabulous restaurant on the roof with views spanning the whole of Naples. We loved it and would stay again. 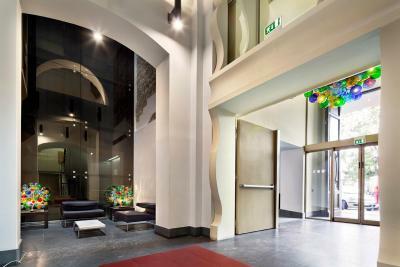 Good hotel chain and reached expectations. Able to check in early as room was ready. Friendly staff great breakfast and nice rooftop bar. Easy to travel on metro as station across the road. Am coming back shortly. Had a good time. The staff were all very friendly and helpful. In particular the bar staff in the evening. Very nice room. Good location.